NASCAR Race Mom had a great race weekend at Sonoma Raceway. 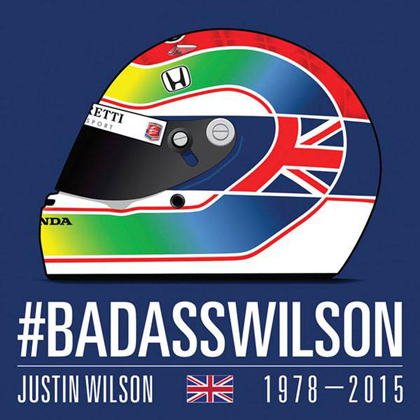 Just six days after driver, Justin Wilson, was killed after a freak crash at Pocono Raceway, the racing community and Sonoma Raceway embraced the Wilson Family with numerous tributes to its fallen hero. 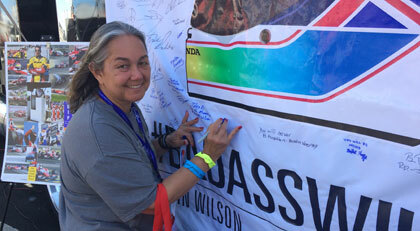 Among those who are reaching out to support Wilson’s widow, Julia, and young daughters, Jane and Jessica, is American Honda and Honda Performance Development. American Honda and HPD will contribute $50 per lap completed at Sonoma by each of the 13 Honda entries at this weekend’s race for a possible donation of just over $55,000 to the Wilson Children’s’ Fund. INDYCAR paid tributes to Justin Wilson before the ‘Go Pro Grand Prix of Sonoma’ included a tribute video, special signage for the children’s fund, and sky writing pilots drawing No. 25 in the sky above Sonoma Raceway. 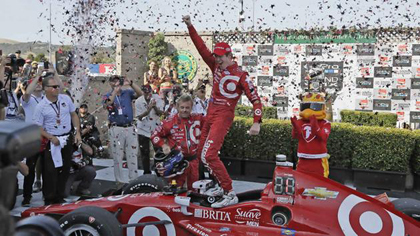 Not to be denied, Scott Dixon’s season finale win propelled him into the points lead for his fourth IndyCar championship. Juan Pablo Montoya, who had led the standings from the season-opener until the final lap of the year, suddenly found himself tied in the point standings. The tie and title went to Dixon based on number of wins: Sunday was Dixon's third of the season, while Montoya only had two! Equally as exciting was the Formula Car Challenge’s returning to Sonoma Raceway after a year hiatus. 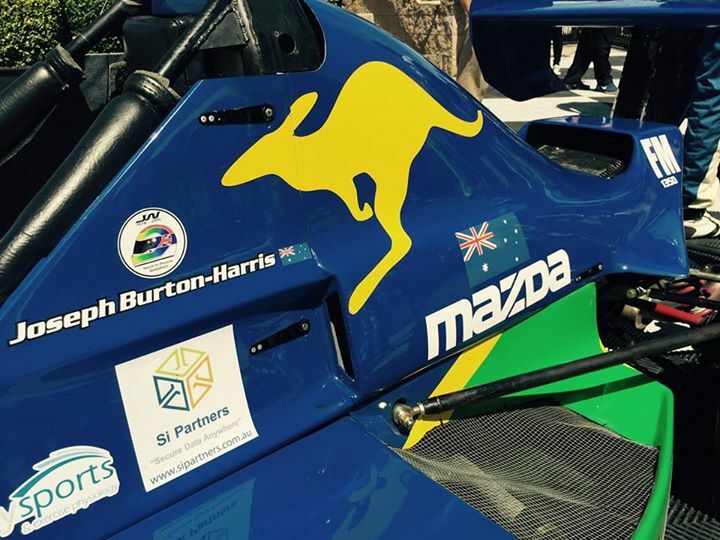 This series took center stage at the Sonoma Raceway with its double race format featuring Pro Mazda (PFM), FormulaSPEED (FS2.0), and Formula Mazda (FM). Competitors from around the country convened at the Northern California facility to compete alongside the IndyCar Finale! 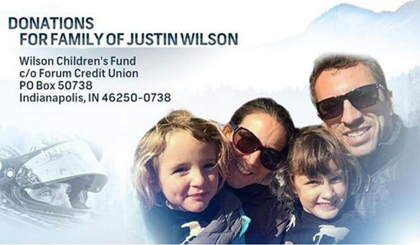 The INDYCAR community has embraced the Wilson Family during this tragic time following the death of 37-year-old Justin. Wilson earned seven IndyCar race wins in an American career that started in 2004. Eleven talented young drivers with diverse racing backgrounds will participate in a first-ever NAPA Filters Drivers Expo powered by Toyota in Roseville, California on Thursday and Friday. The event – a driver combine and racing seminar packaged together – will be held at BMR’s facilities and at nearby All American Speedway, a challenging track where BMR has a winning record. Zane Smith, 16, of Mooresville, North Carolina. “These drivers will have the opportunity to get behind the wheel of one of our NAPA Toyotas and see first-hand what it’s like to drive a NASCAR K&N Pro Series car,” McAnally said. The drivers will be paired with a coach from among a group of championship and race-winning veteran drivers and crew chiefs. On-track action is scheduled both afternoons. In addition to turning laps, the drivers will also receive presentations on key points in the racing industry. 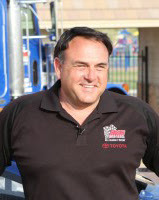 Fox television analyst Larry McReynolds heads up the list of presenters, along with representatives from NASCAR, Toyota, and NAPA AUTO PARTS. Sacramento area media will also be part of the event, as they conduct one-on-one interviews at the track with the drivers on Thursday afternoon and participate in a press conference with the drivers at BMR that evening. Activities continue on Friday, with presentations at BMR in the morning and on-track activities that afternoon. Bill McAnally Racing (BMR) was founded in 1986 and is owned by former NASCAR K & N Pro Series West driver, Bill McAnally, with one vision; winning races and championships. BMR is dedicated to finding talented people and placing them to make the racing machine roll. BMR serves as a marketing tool for their race partners to increase sales and brand recognition. The family has requested that in lieu of flowers, donations be made to the Wilson Children’s Fund care of INDYCAR. 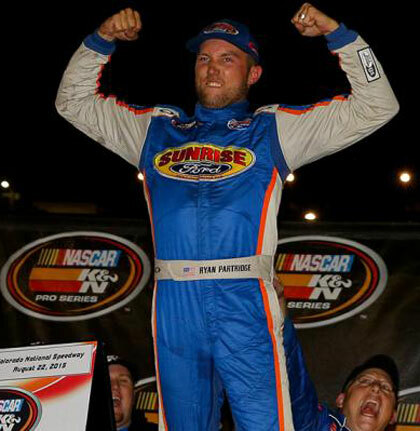 As Rookie Ryan Partridge provided the fans with a dominant performance last Saturday night at the Colorado National Speedway, backing-up his first series pole into his first series win, one cannot help but notice just how close and heated this 2015 K&N Pro Series Points Championship is. in the NAPA Auto Parts 150 at Colorado National Speedway. The 25-year-old from Rancho Cucamonga, California, won his first ‘Coors Light Pole Award’ and then went on to led all but one lap in the ‘NAPA Auto Parts 150’ while driving the No. 9 Sunrise Ford / Eirbach Springs / Lucas Oil Ford. Chris Eggleston led briefly on a Lap 29 restart. His win moved Partridge into a tie with Chris Eggleston for the points lead. 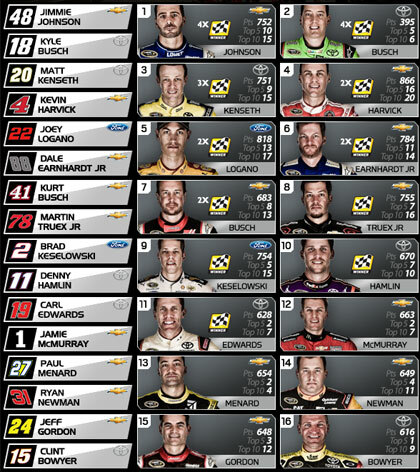 The top-five drivers are separated by a mere eighteen points. They still have three races left to battle for the top prize; the 2015 Pro Series West Championship. The remaining competition for the 2015 West Championship should prove an exciting mixture of young talent and team strategy as each point earned will prove precious. Bill McAnally Racing Driver Chris Eggleston in tie for Championship lead. The NASCAR K&N Pro Series West heads to Meridian Speedway for the NAPA Auto Parts Idaho 208 on Saturday, Sept. 5. The NAPA Auto Parts 150 from Colorado will air on NBCSN on Thursday, Aug. 27 at 7 p.m. ET. During the summertime, the hospital is no place you want your child to be. Splashing in the pool or bicycling around the neighborhood is what summer means to most children. Unfortunately for some children, they are being poked and prodded with blood being drawn and tests being run. Through the bright, colorful Speediatrics Units decorated with fun characters and racing imagery, the NASCAR Foundation hopes to help ease the pain, but that's not all our children need! They need medical care delivered with ease and comfort, and that's how Speedy the Bear and YOU can help! Speedy helps bring a smile to each child in the Speediatrics Unit. However, the program is now in need of new bears for the kids. Please join and help the NASCAR Foundation in reaching their goal of providing a hundred (100) bears this summer. 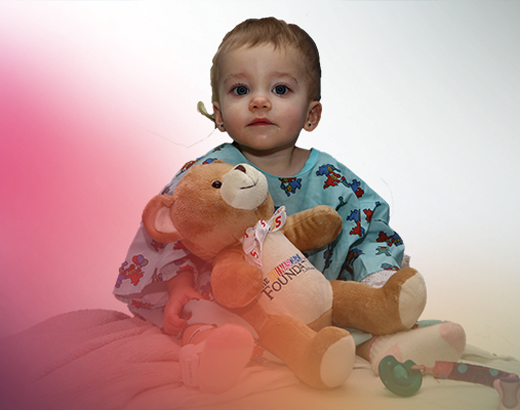 For just $25, you can provide a bear to a sick child today. They will deliver the bear and a "get well soon" card signed in your name to the kids in the Speediatrics Unit. Every generous gift of $25, $50, or even $100 helps us provide comfort to sick children. to children who need it most this summer! 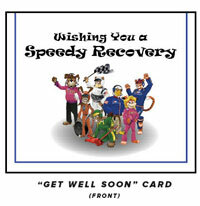 They will deliver Speedy and a get well card signed in your name! 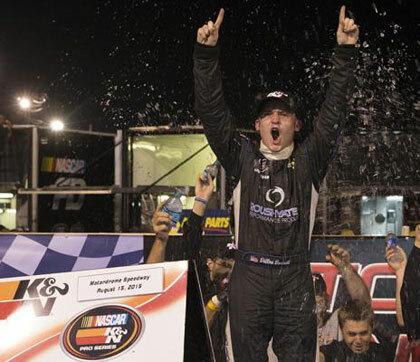 Saturday night found both the K&N Pro Series battling for championship wins and points. The East completed in the “UPMC Health Plan 150” at Motordrome Speedway; while the West put on a show in the “NAPA Auto Parts 150 presented by Toyota” at Evergreen Speedway. K&N Pro Series Points Leader, rookie William Byron won his third career ‘21 Means 21’ Pole Award Presented by Coors Brewing Co. in qualifying for the UPMC Health Plan 150. However, 17-year-old Dillon Bassett scored his breakthrough victory in the series' inaugural visit to the Motordrome Speedway. In the process, he became the 100th different winner in series history! K&N Pro Series West veteran David Mayhew won the ‘NAPA Auto Parts 150 presented by Toyota’ at the .646-mile Washington track. In doing so, he joins notable names such as Bill Amick, Ray Elder, Ron Eaton, Jim Robinson, Chad Little and Brenden Gaughan on the list of drivers to earn back-to-back finishes at Evergreen Speedway. 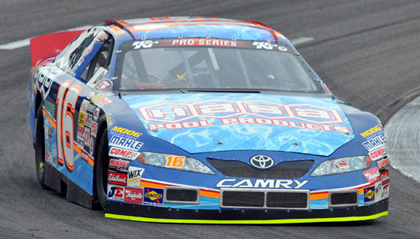 It was Mayhew's tenth overall victory and his second win of the season. 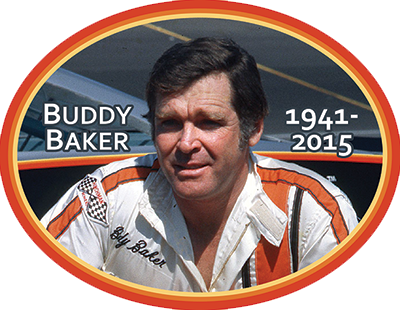 NASCAR will honor the late Buddy Baker in a special way this weekend in events for all three national series. Vehicles will be affixed with a B-post decal (see below) honoring the former NASCAR driver. My thoughts and prayers are with the Baker family & friends. Such a great weekend with so much fun all around, but sad to hear today of the passing of Buddy Baker. Always enjoyed talking to him. 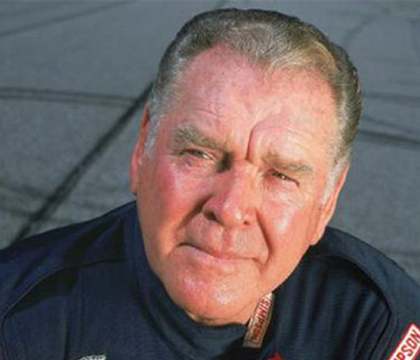 Saddened of the passing of Buddy Baker. People like Buddy is why this sport is as friendly as it is. Awesome driver, even better person! 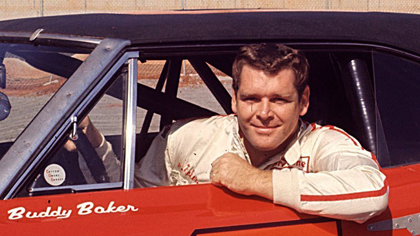 Our thoughts & prayers are with Buddy Baker's family & friends. A great man with a great personality. The #GentleGiant will be missed. Sad to hear the news of Buddy Baker passing this morning. Thought a and prayers with his family. Really sad to wake up and see the news of Buddy Baker. He was always a great supporter prays to his family!! NASCAR® announced today that NASCAR After The Lap, sponsored by Ford and Sprint, will return to Las Vegas for its seventh-consecutive year. The event will once again take place at the Pearl Palms Concert Theater inside the Palms Casino Hotel on Thursday, December 3. 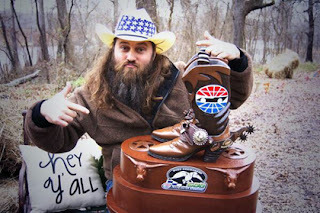 Now in the second year of the expanded field of challengers competing in the Chase for the NASCAR Sprint Cup, attendees will be able to see this year’s best drivers – all 16 Chase for the NASCAR Sprint Cup contenders – in what has become a highly anticipated event during the week-long season-end celebration. NASCAR After The Lap provides fans with an opportunity to win once-in-a-lifetime prizes and NASCAR experiences. 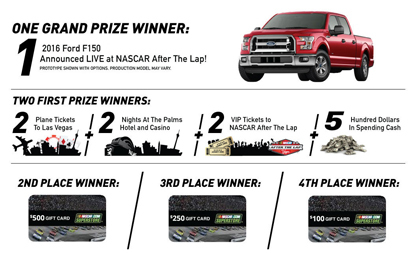 Starting today through November 22, NASCAR fans entering the NASCAR After The Lap sweepstakes will have the opportunity to win a 2016 Ford F-150. Additionally, two winners will receive an all-inclusive VIP trip for two to NASCAR After The Lap, including roundtrip airfare, hotel, ground transportation and VIP event access. NASCAR fans can enter for a chance to win by visiting www.NASCARafterthelap.com. Tickets for NASCAR After The Lap are priced at $20 and go on sale on Monday, September 21. For fans unable to attend NASCAR After The Lap, NASCAR.com will offer a live stream of the event. 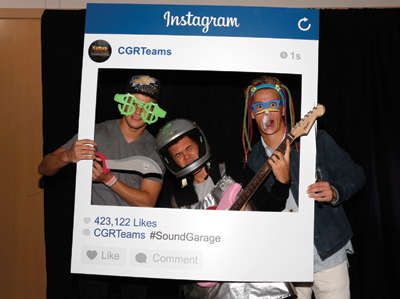 have some fun at the "Ganassi Sound Garage" Instagram-themed photo booth. 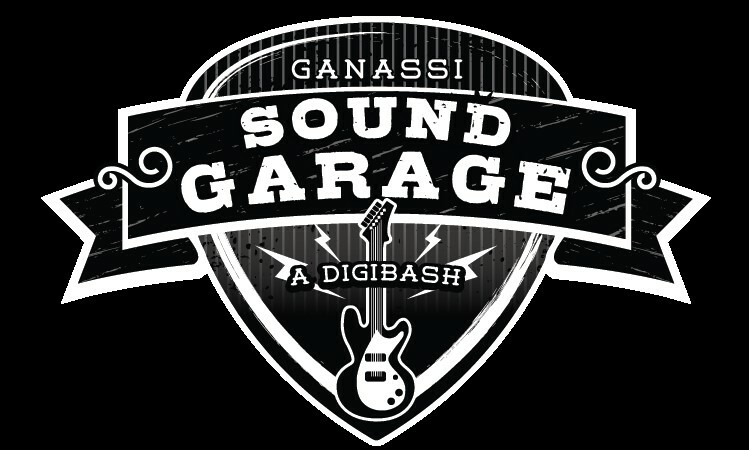 On the heels of the wildly-popular and first-of-its-kind event for millennials last Fall, Chip Ganassi Racing Teams (CGRT) announced today the return of the Ganassi Sound Garage featuring Big Machine Label Group’s (BMLG) recording artist A Thousand Horses at the team’s Concord, N.C., headquarters on Oct. 5. 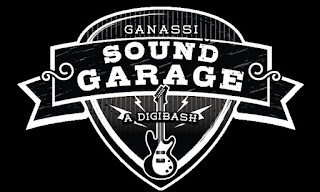 Ganassi Sound Garage will be hosted by a diverse sampling of the team’s millennial driver lineup, including Kyle Larson (NASCAR), Sage Karam (INDYCAR), Dylan Kwasniewski (NASCAR) and Brennan Poole (NASCAR). Last year’s inaugural social media concert showcased the talents of Big Machine Records recording artist and season 3 winner of The Voice Cassadee Pope and won an industry award for NASCAR’s “Most Creative Use of Social/Digital Media”. This year’s event will once again be streamed live on www.nascar.com, www.indycar.com and www.ganassisoundgarage.com for fans all around the world to enjoy. CGRT hosted over 200 social media savvy millennials and influencers last year, and expects to more than triple the turnout this year with a target audience that includes influencers, curators and heavy social media users. The event will also have increased partnership involvement from brands like Target, McDonald’s, Clorox, Kimberly Clark, Unilever, Energizer, Coke, Chevrolet and DC Solar– who are all focused on speaking to the millennial demographic. Additionally, attendees will have the chance to join CGRT at Charlotte Motor Speedway for the NASCAR XFINITY Series race later in the week (Oct. 9), connecting their VIP experience from the stage to the race track. • How do I get in? 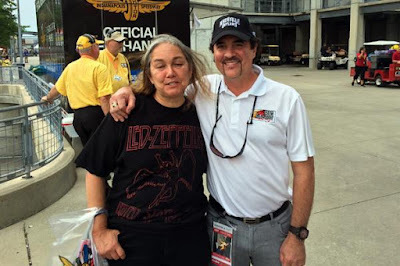 : The event is invitation only from CGRT, but opportunities to attend will be given away by the drivers and A Thousand Horses via social media outlets. Attendees will mix and mingle like a VIP, taking selfies with all the stars along the red carpet and have a chance to show off their style. Fans will also have the opportunity to show their social influence to the world by using #soundgarage in posts which will be displayed on duel screens flanking the stage during the event. Fans can even win a chance to travel 1000 miles to see A Thousand Horses as part of a special sweepstakes through www.ganassisoundgarage.com – the official website for event updates, ticket giveaway information, live streaming and more. • A Thousand Horses: A Thousand Horses is a fresh fusion of classic sounds – a hybrid of Lynyrd Skynyrd, the Allman Brothers, Black Crowes and Exile on Main Street-era Rolling Stones - wrapped up in a modern-country context. Their first single “Smoke” went to #1 on both the Mediabase and Billboard Country Airplay Charts after making Country Aircheck history as the highest debut for a new artist’s first single. They also became the first band (with at least three members) to send a debut single to #1 on Billboard Country Airplay Chart this decade. With Michael Hobby leading vocals, Bill Satcher and Zach Brown on guitar and Graham Deloach on bass, the band initially gained momentum playing clubs across the South. Rolling Stone Country hailed the foursome as the Best Up-and-Comer at 2014’s Austin City Limits and USA Today named them one of 2015’s Artists to Watch and an On the Verge Artist. Their first album on the Big Machine Label Group, Southernality, is now available on iTunes and the second single from the album, “(This Ain’t No) Drunk Dial is currently making its way up the Country charts. The band was also recently nominated for a CMT Music Award for “Group Video of the Year” for their hit single “Smoke.” A Thousand Horses is currently on the road with Darius Rucker’s Southern Style Tour. For more information and tour dates, visit www.athousandhorses.com. • About the Drivers: CGRT drivers in attendance will include: Kyle Larson – 2014 NASCAR Sprint Cup Series Rookie of the Year, 2013 NASCAR XFINITY Series Rookie of the Year and 2012 NASCAR K&N Pro Series East Champion; Sage Karam – Verizon IndyCar Series Rookie, 2013 Indy Lights Champion, 2011 Star Mazda Champion and 2010 US F2000 Champion; Dylan Kwasniewski – 2013 NASCAR K&N Pro Series East and 2012 NASCAR K&N Pro Series West Champion; and Brennan Poole - NASCAR XFINITY driver and six-time ARCA Racing Series Presented by Menards race winner.